minimally invasive prostate cancer surgery. Arnon Krongrad, M.D. introduced robot-assisted, laparoscopic prostate surgery to the United States in 1999. This method of prostatectomy aims to eliminate cancer and preserve function. 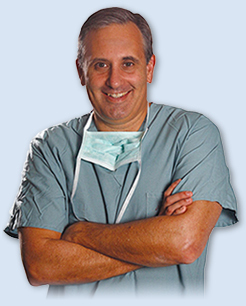 In Dr. Krongrad's highly experienced hands, it is associated with minimal bleeding, minimal pain, and quick recovery. Dr. Krongrad has personally performed over 3,000 procedures and helped men from all corners of the world to beat prostate cancer. Call to schedule a consultation with Dr. Krongrad.